Aron has always been a troublemaker. Small for his age, he is often the source of silly pranks and misguided stunts, and his family habitually accuse him of only thinking of himself. Unenthusiastic about school work, he spends much of his time helping his mother with her clothes-washing business, trying to help look after his sickly younger brother, and attempting to change people’s perceptions of him. Aron is only nine years old when he and his family are relocated from their home near the Lithuanian border into the Warsaw Ghettos. As Polish Jews, and with their rights gradually being stripped from them, Aron’s family begins to find it harder and harder to acquire legitimate work. Sensing that this is where he could do some good, Aron and some of his like-minded new friends start up a smuggling gang, stealing what they can and selling or trading it for food and other useful items. They set up an elaborate system, which involves working around tram times outside the Ghetto, making contacts both within and outside the gates, and bribing the necessary people of the Jewish (yellow), Polish (blue) and German (green) police to look the other way. The work is dangerous, and the chances of getting shot are high, but Aron and his friends are determined to survive in the best way that they know how. To make matters even more difficult, lice are rampant and a deadly typhus outbreak is sweeping through the Ghetto, killing more people than anyone would have thought possible. It’s difficult to keep clean, food is scarce and random sweeps by the police mean that many people are sent away to work in labour camps, and are never seen again. While working as a smuggler, Aron attracts the attention of a Jewish police officer, who enlists his ‘help’ in return for favours. Although Aron doesn’t want to be known as an informant, some of the offers are too good to resist, and he finds himself in even more trouble. It is during this time that he meets Dr Janusz Korczak, a famous Polish radio presenter and doctor who is best known for running an orphanage and trying to keep over a hundred and fifty children from starving. Not averse to using manipulation and begging to get food for the kids in his care, he walks the streets looking for donations and assistance, turning down numerous chances at escape in order to help ‘save’ his children. When circumstances make Aron’s situation even more dire, he looks to the doctor for guidance and the two, despite their very different survival methods, become close. This is a fictional novel, yet there are many true elements scattered throughout the narrative. Korczak was a real person, and most of the information stated about him is true, albeit with a little bit of creative licence thrown in regarding his conversations with other characters. The typhus outbreak and difficult living conditions are also true, as are the penalties that were incurred by smugglers who were caught by the police. 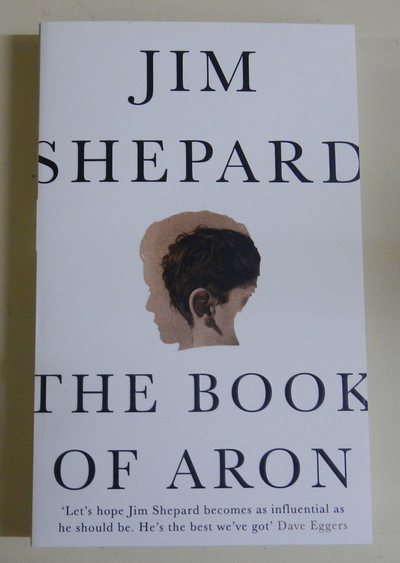 Through the blending of fact and fiction, the author has managed to create a realistic and harrowing portrayal of a young boy’s life during the Holocaust, and his desperate attempts to create a better existence for himself and others.